I'm over at my homeschooling blog talking about Charlotte Mason, turning off the t.v., and getting out of my comfort zone. I'll probably be reflecting on the t.v. topic here soon. 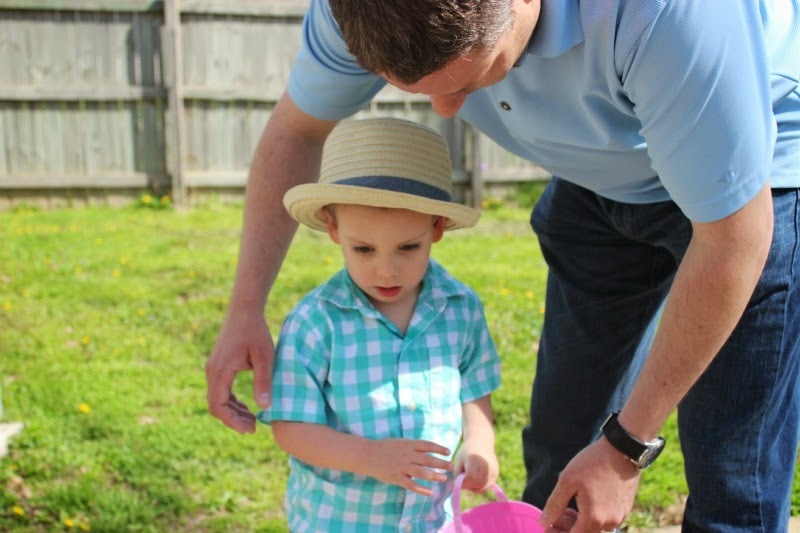 But for now, here are a few of my favorite pictures and memories from Easter this year. We had a simple and lovely weekend here. The boys are both at fun ages for holidays. 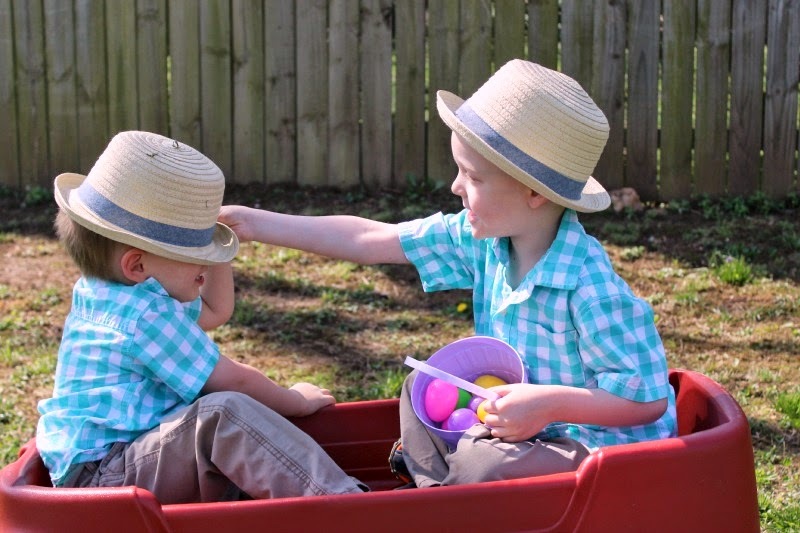 We hadn't done anything with the Easter Bunny (you can read my Santa thoughts here), but Sunday morning The Hubs says something to the boys like, "Oh did you hear that? I think I hear something hopping in the house." Bubby had a look of fear overtake his face, thinking a stranger or bad guy was in the house. 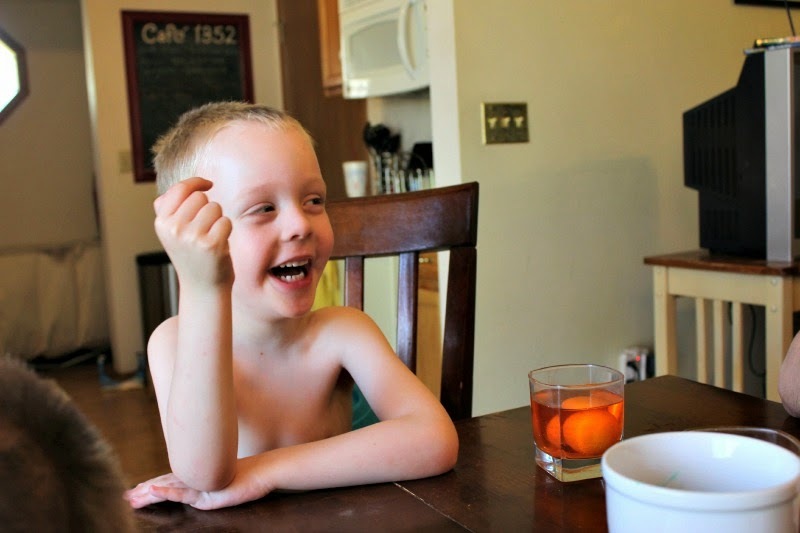 The Hubs eleviated his fears, and the boys found small baskets of candy and a couple of books on the kitchen table. 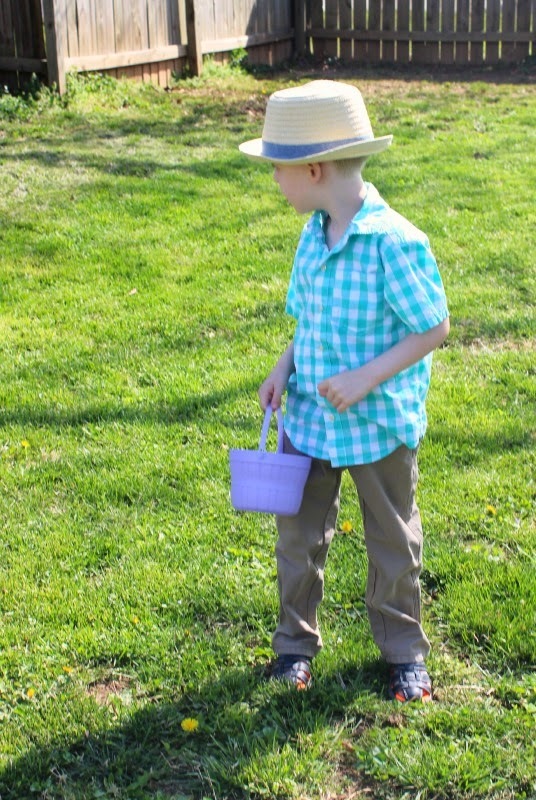 Other than that, we spent time dying eggs on Saturday, and then searching for plastic filled ones in both yards on Sunday. (Our front yard was egged in a good way by neighborhood kids Sunday morning with a note for us). I made two kinds of Pioneer Woman breakfast rolls to have at brunch. The lemon-blueberry ones were a hit! 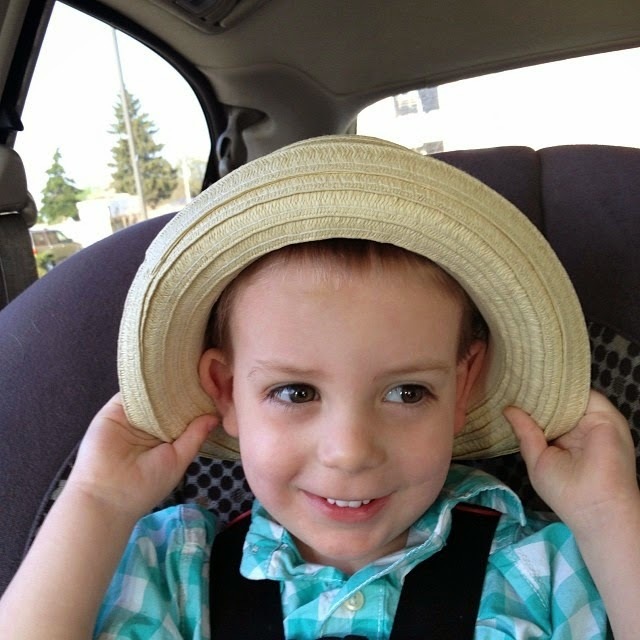 Bugaboo loved his new hat, which is amazing since he is not a fan of costumes or accessories. 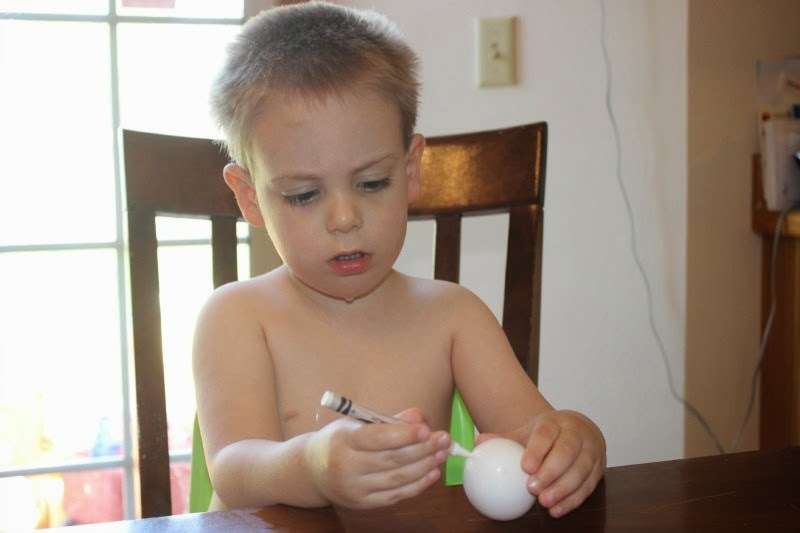 He does, however, love to put a mixing bowl on his head when he plays in the kitchen, so maybe this was familiar. We attended Good Friday and Easter Sunday services at church.My favorite part of the Good Friday service was the responsive reading of Old Testament prophecies and the New Testament fulfillment, partly because a female co-led the reading (at our SBC church! ), but mostly because it was a beautiful review of what I have learned in my year spent in the book of Matthew in BSF. It was a lovely weekend spent with my little family celebrating some of the most important things to us. Really nice pictures. Sounds like a sweet weekend!